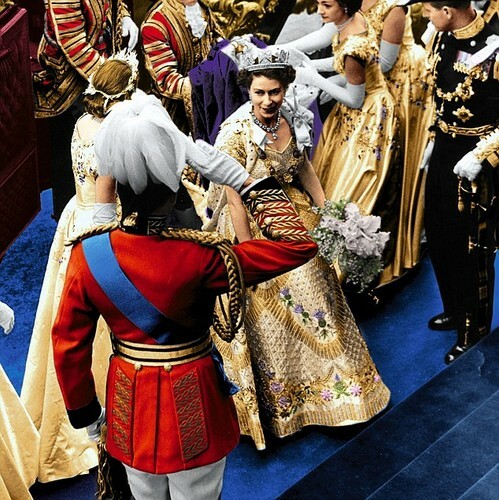 Queen Elizabeth II arrives at Westminster Abbey in the Coronation. . Wallpaper and background images in the Ratu Elizabeth II club tagged: photo queen elizabeth. This Ratu Elizabeth II photo contains surcoat. There might also be tabard, wrangler kuda, wrangler, kuda wrangler, tukang perahu, leghorn, panama, panama hat, kelasi, skimmer, topi jerami, boater, and shamsul iskandar.